PhiAcademy is a global organisation that provides professionals with top class education, the best engineered equipment and pigments. 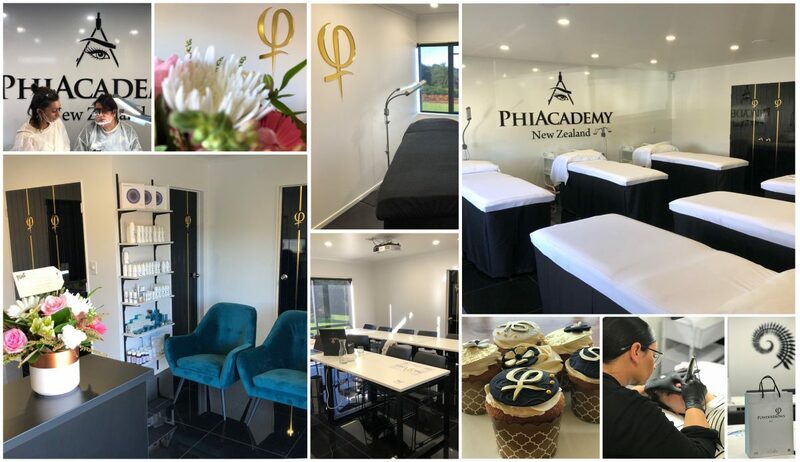 To ensure your success at PhiAcademy New Zealand, you will be trained in the latest techniques, hygiene standards and marketing practices. It is our aim to create top quality professionals in the Cosmetic Tattooing industry. We strive to do this by providing you with proven training programmes, manuals and a safe educational environment to maximise your potential. “Above all, people, their training and ongoing learning are crucial to the success of the beauty industry. As new beauty products and technologies are emerging at a rapid rate, so too is the need for the industry knowledge and skill base to absorb these developments and the growth. Forecasts indicate the beauty industry will face strong growth in the next ten years.  Private training Enterprises have the dominant market share in beauty education provision in New Zealand. Providers Michaella Messenger and Amanda Semenoff, NZ Licensees of PhiAcademy NZ are well placed to help meet the forecast in the demand for quality training and ongoing learning in the industry. They are a force to be reckoned with for training and provide high-quality courses throughout NZ and Australia. Experienced industry professionals and proven business women there is not a lot Michaella and Amanda don’t know about the industry. Leveraging this and investing heavily in their custom built training facility in Whangarei, Amanda & Michaella mean business. World renown PhiAcademy is a highly professional organisation backed up with worldwide brand recognition, proven technological development and innovation. “I first studied in PhiBrows in December 2016 as an already experienced tattooist in PMU. The Phi philosophy, product and trainings are exceptional and industry leading but the ongoing professional support is above any other I have experienced. The NZ PhiAcademy has nurtured and inspired both new and experienced artists in the art of perfection and quality with industry standards respected and expected. I have had the absolute pleasure of meeting other likeminded professionals that encourage a positive, empowering network and it is a privilege to be part of their story. In some cases, training, education dates or Masters may need to be altered or rescheduled due to circumstances beyond our control. If this occurs, PhiAcademy NZ is in no way liable for any costs incurred to you for adjusting accommodation or travel. Please note, we do not provide refunds, however we do allow transfers to another date or education. © 2019 PhiBrows NZ Ltd. All rights reserved.